Every day, our skin is attacked by daily aggressors like pollution, stress to skin, and fatigue, which causes the skin to be dehydrated and dull. Just like your body needs vitamins to be healthy, skin needs minerals to strengthen its moisture barrier and defend itself. - Hydrates, plumps and fortifies. Day after day, skin radiates with a healthy glow. - Skin more resistant to visible aging caused by pollution, stress to skin and fatigue. - Pure and clean formula: Paraben-free, no fragrance, colorants, oil, silicone, alcohol. 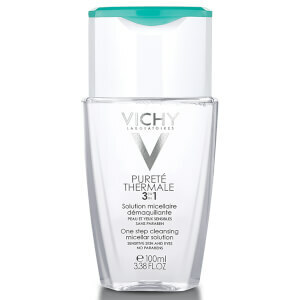 Combines 89% Vichy Mineralizing Water, rich in 15 minerals, and natural origin Hyaluronic Acid to hydrate, plump, and fortify your skin. Suitable for all skin types and can be used as an oil free moisturizer and a moisturizer for dry skin. A 100% transparent, fast-absorbing, lightweight gel moisturizer. 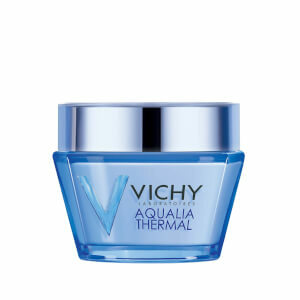 This face moisturizer absorbs quickly into skin leaving it feeling comfortable, softer and hydrated. Non-greasy. Non-sticky. Tested on sensitive skin. Allergy tested. Tested under dermatological control. Apply 2 drops on your skin after cleansing morning and evening. Use as a regular face moisturizer on its own or as the first step of your skincare routine. Spread with outward movements from the middle of the face, without applying too much pressure. Aqua / Water / Eau, Peg/Ppg/Polybutylene Glycol-8/5/3 Glycerin, Glycerin, Butylene Glycol, Methyl Gluceth-20, Carbomer, Sodium Hyaluronate, Phenoxyethanol, Caprylyl Glycol, Citric Acid, Biosaccharide Gum-1. Code F.I.L. : D201455/1. 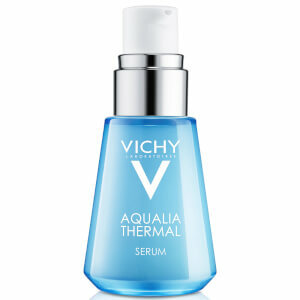 Vichy Aqualia Thermal Power Serum with Hyaluronic Acid, Oil-Free, 1 Fl. Oz. 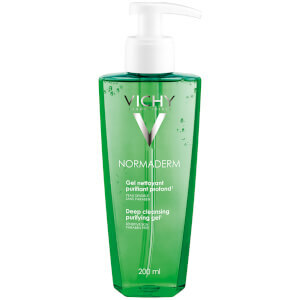 Vichy Normaderm Daily Deep Cleansing Gel Acne Face Wash with Salicylic Acid, 6.7 Fl. Oz. Skinstore has been expanding it's range of products. I have always relied upon skinstore for all my skincare needs. This is the best product I have had so far. Totally in love with it. The price at which skinstore offers its products is awesome. Not only it's cheap but it's really good. Get additional deals by using the reffferal codee FREE hyphen R2. Replace the word hyphen with its numeric sign. I hope it helps. This stuff is so incredible! My skincare regime changed with just this one product. 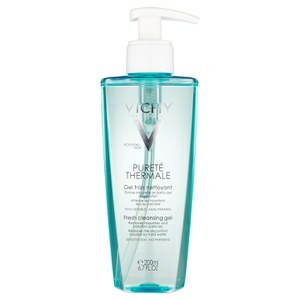 I'm a lifer for Vichy. This has taken my skin to a whole new level.